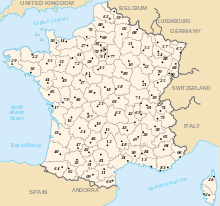 The départements (or departments) are administrative parts of France and many French colonies, similar to English counties. Départements are a kind of local government. The 101 French départements are now grouped into 22 metropolitan and five overseas régions. Their capitals are called préfectures. ^5 This department was known as Bec-d'Ambès from 1793 until 1795. The Convention eliminated the name to avoid recalling the outlawed Girondin political faction. ^16 The overseas departments each constitute a region and enjoy a status identical to metropolitan France. They are part of France and the European Union, though special EU rules apply to them. 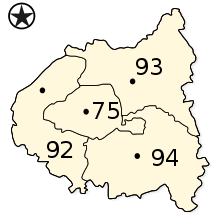 ^18 Metropoles with territorial collectivity statute. This page was last changed on 21 March 2019, at 12:20.